Dark Ride Corset — Step on up....you're not afraid, are you? 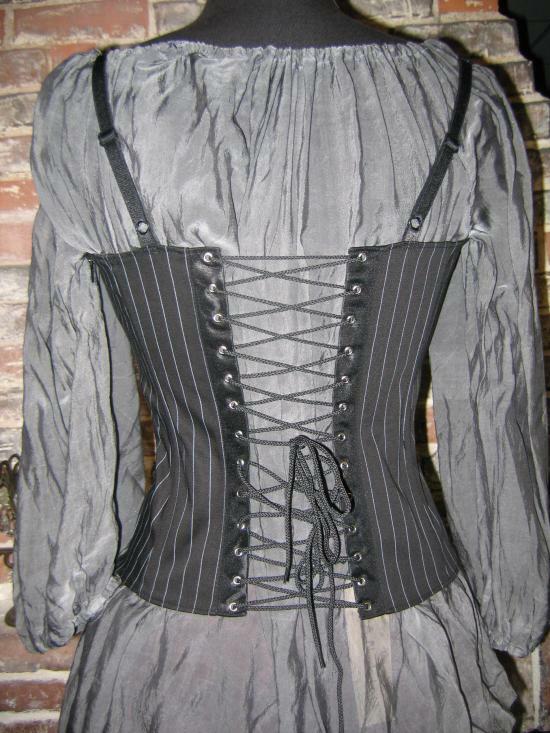 Wearing this pinstriped corset should give you all the confidence you need! Shoulder straps, lacing up back, and zip on side, constructed of lovely cotton twill with a bit of stretch for added comfort. 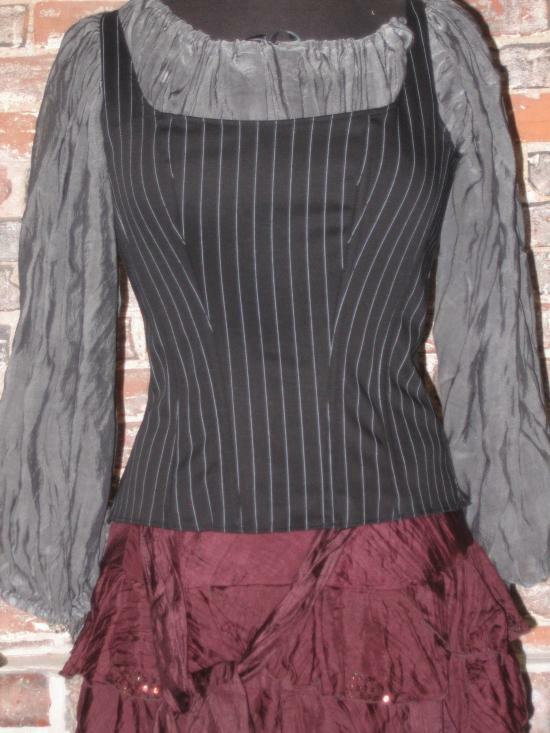 Shown with Ringmaster's Blouse in Tin Grey and Drear Skirt. Sorry....the Dark Ride Corset is now Sold Out, and has left the Carnival.